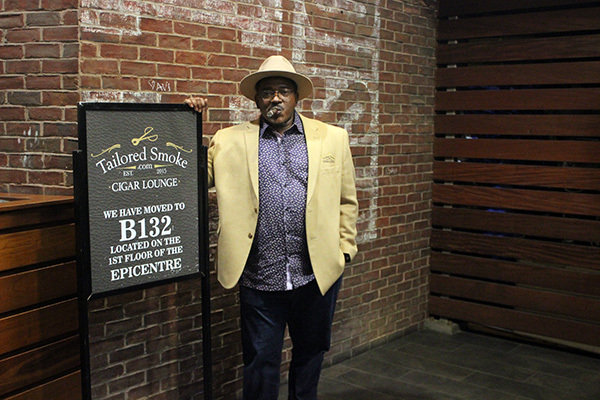 I met Preston Gray the owner of the Tailored Smoke Cigar Lounge when I attended the MLB Cigar Ventures after party/dinner at this years IPCPR. 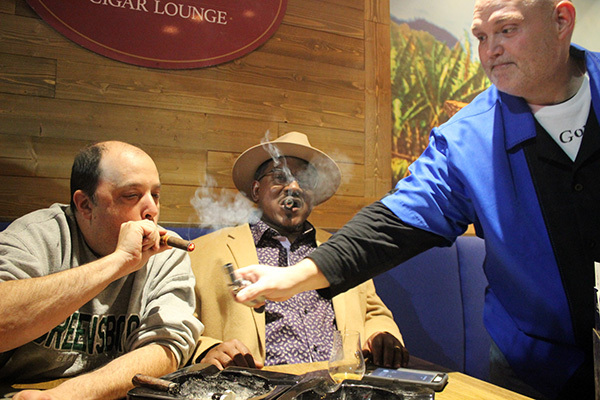 The time we spent enjoying Mike Bellody’s hospitality and smoking cigars was as good as any two Brothers of the Leaf could have. Over the course of the evening I learned a lot about Preston and his journey into opening one of the finest lounges I would eventually step into. As the evening closed I made a promise to Preston that if I was ever in the Charlotte area I would make it my business to stop in and check out Tailored Smoke Cigar Lounge. Just three months after our meeting I was up in NYC and Pittsburgh to visit family and decided the best route from Pittsburgh to Melbourne FL was through the West Virginia mountains through Virginia and ultimately stopping over for the evening in Charlotte, NC. Keeping my promise I made it over to the Tailored Smoke Cigar Lounge to meet up with Preston and my good friend Cigar Coop who lives a short distance from the lounge. 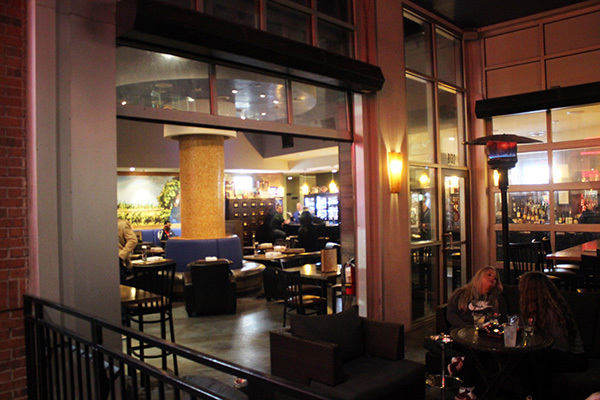 The lounge is located in what is known as the EpiCentre – a sprawling area of specialty shops, restaurants, nightclubs, and of course Tailored Smoke Cigar Lounge. Since I was staying in one of the local hotels I chose to Uber over to save the parking costs and walked up the steps into the EpiCentre. There is a lot of action here with plenty of foot traffic walking about and enjoying the evening. I could only think, “this is a great place for a cigar lounge“. I looked up and around and finally found the lounge with its large outdoor seating area and brightly lit inside..
As I entered I was greeted by Preston and signed up for my private membership. Yes, this is considered a private club and all those that enter must signup for a membership. It is a nominal $5.00/Year. Before I get into the lounge review let’s turn the clock back and talk about how this all got started. You see, Preston has only owned this lounge for less than a year, it originally started as a small kiosk in the EpiCentre where he set up a table and sold cigars to people as they walked by. 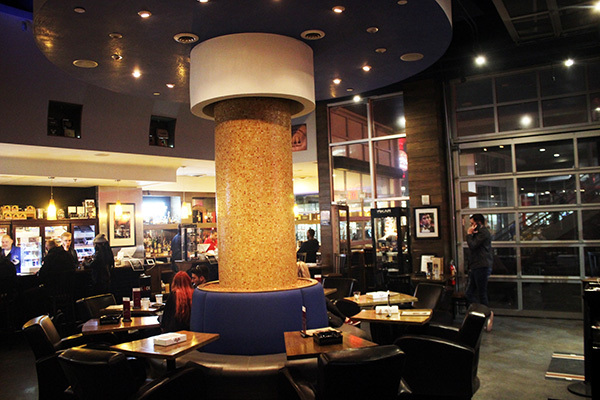 Some of those folks were celebrity basketball players as the EpiCentre is the home of the Charlotte Hornets and become regular customers and now patrons of the new lounge. 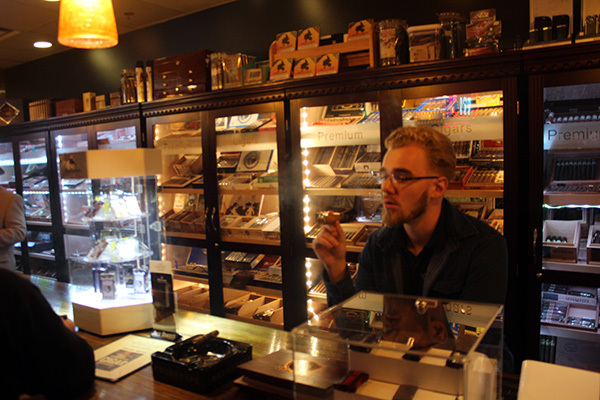 Eventually, he started to grow and rented out space behind the table for humidors and storage and the Tailored Smoke dream started to grow. 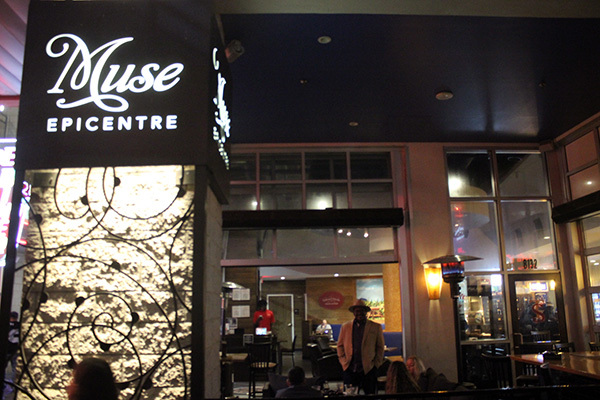 When the current location became available, Preston offered to rent the space of the once existing restaurant. The EpiCentre management was not sure if he could generate enough revenue for the space but gave him a shot. just the same. 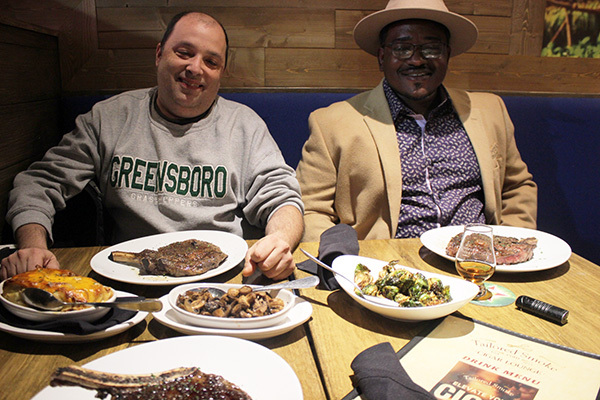 He opened the doors on the weekend of the Central Intercollegiate Athletic Association (CIAA) basketball tournament and it was a smashing success. 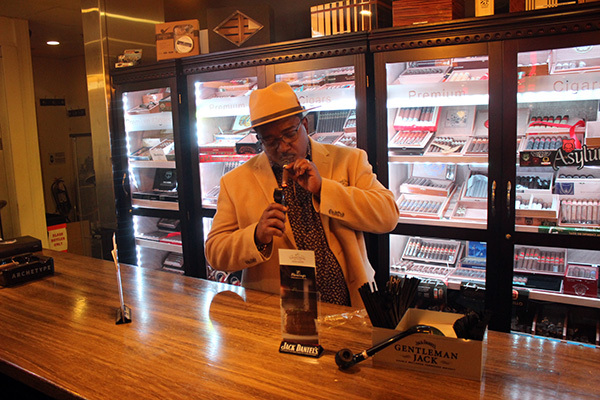 At the end of the $65,000 weekend for Preston, he walked in the offices of the EpiCentre and slapped down their share of the take and history was made as The Tailored Smoke Cigar Lounge was now officially in place and open for business. 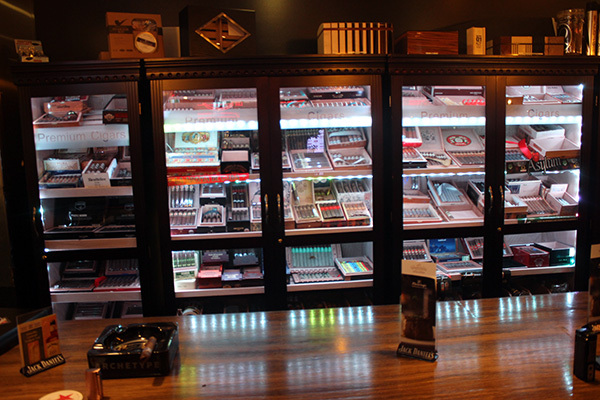 As you walk in the lounge you will notice the large bar in the back that has humidor cases lining the wall behind it. There are hundreds of facings to choose from including the most popular big box brands and the finest boutique blends. The bar is stocked with a full selection of spirits, beer, and excellent wine to choose from. The lounge has ample seating areas with numerous tables and chairs spread out to relax and enjoy and there are plenty of HD televisions to watch your favorite sports. Of course this is Charlotte, NC and you can rest assured that the Hornets will be on whenever they are playing. 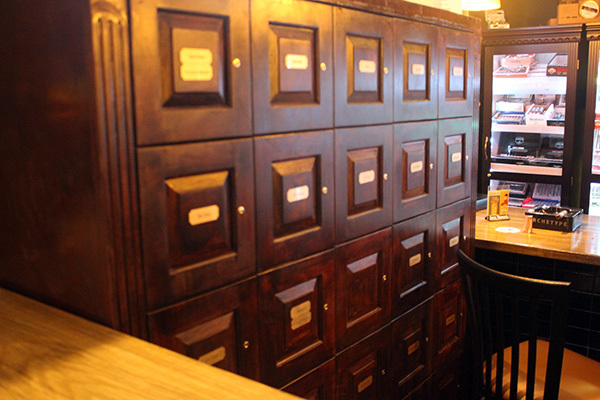 As Preston took me through his lounge he pointed out the row of private lockers that have two pricing levels. The Tailored Smoke level costs $100.00/month and then there is an Executive level that is priced at $300.00/month but gets your unlimited free parking at the EpiCentre, which I understand can be expensive. 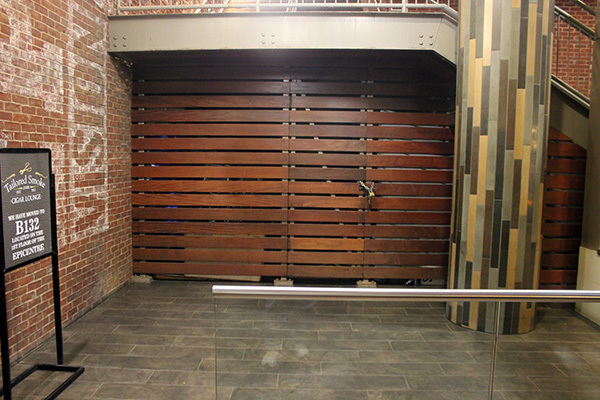 Both levels of locker membership provide you access to the new VIP back room, which was not finished when I was there, but Preston has since told me it is complete now with leather couches and chairs, a huge HD television, lockers, and drink service. With the celebrities that Preston has befriended over the years, I am sure you would be sharing the VIP room with some notable names. 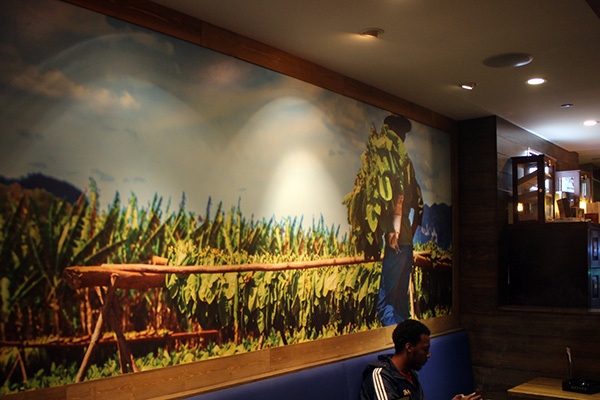 He also working on a deal with Ventura Cigars to make the VIP room the Ventura Cigar Room. Continuing the walk, we came back to the outdoor seating area that is equipped with gas heaters for those chilly nights along with plenty of tables and chairs to enjoy your drinks and cigars as you people watch in the EpiCentre, and there is a lot to watch especially on busy game nights and weekends. Here is something that very few lounges in the country can offer anymore, with all the regulations on combined food and cigars. Known as the Tailored Smoke Experience, Preston has connected with Fleming’s Steak House in the Epicentere, to offer an experience second to none. The Tailored Smoke Experience allows you to order a full up steak dinner from Fleming’s and it will be delivered right to your table by a Fleming’s Steak House waiter. The night I was there, Cigar Coop and I had that experience and I have to say it conjures up memories of the old days when you can enjoy a big steak dinner, wine, and desert then fire up a cigar after to enjoy with your favorite after dinner beverage. The steak itself was to die for, melting in my mouth. Speaking of your favorite beverage, the other part of the Tailored Smoke experience is their hand crafted and quite unique Old Fashion. Better than me explaining it, let me just show you how this favorite drink is created at Tailored Smoke Shop and Lounge. That is pretty damn cool eh? I would like to thank Preston Gray for giving me the tour of his beautiful lounge and for treating me to the Tailored Smoke Experience while I was there. It was a great way to spend my 59th birthday weekend and Cigar Coop was an added benefit to the experience. Best of luck and continued success Preston, you have a winner here. UPDATE: Since writing this article. Preston Gray was kind enough to send me a video of their Ventura Cigars VIP Room. It certainly makes me want to go back and visit. 210 E Trade St, Charlotte, NC 28202. 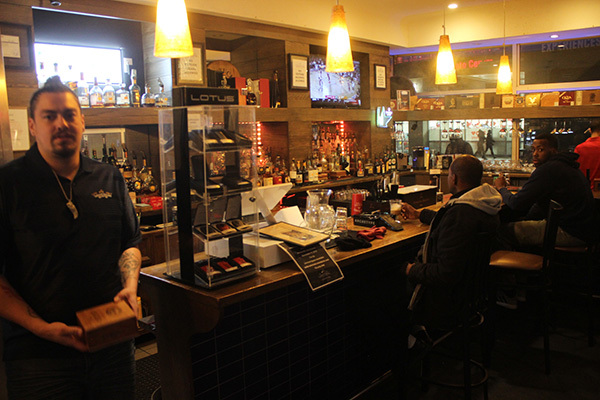 This entry was posted in Cigar Lounge and tagged Charlotte NC, Cigar Coop, Cigar Lounge Review, Mike Bellody, Preston Gray, Tailored Smoke Cigar Lounge, Ventura Cigars. Bookmark the permalink.